Simply CSOFT is hosted by CSOFT International, a leading provider of multilingual localization, testing, and software development solutions for the global market. The purpose of this blog is to help organizations engaging in localization to keep informed of trends and events that might affect the success of their products in the international market. 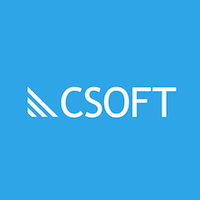 Not only that, but we would also like to give our clients, partners, and extended team members the opportunity to see CSOFT and its people from an insider’s perspective.